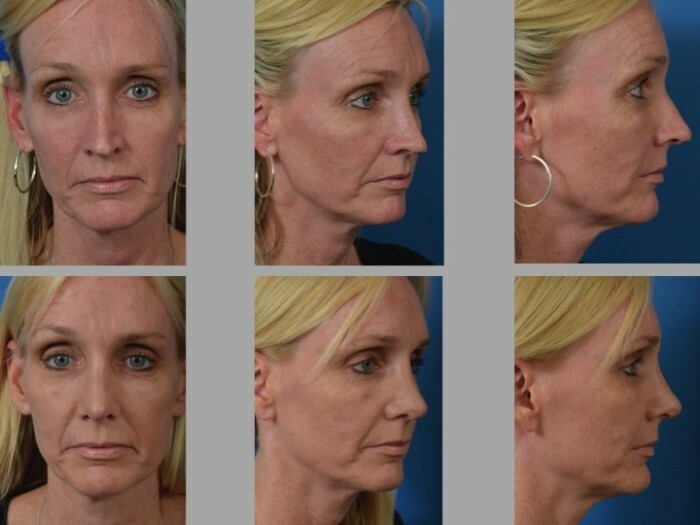 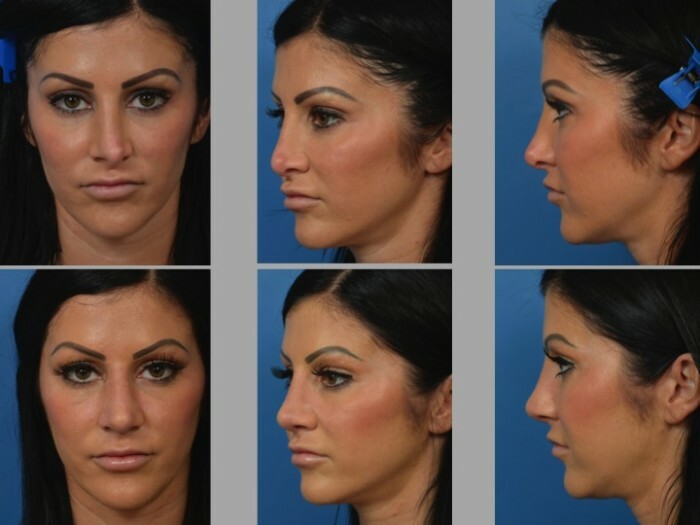 Secondary, also known as revision, rhinoplasty is a totally different operation than a primary rhinoplasty. 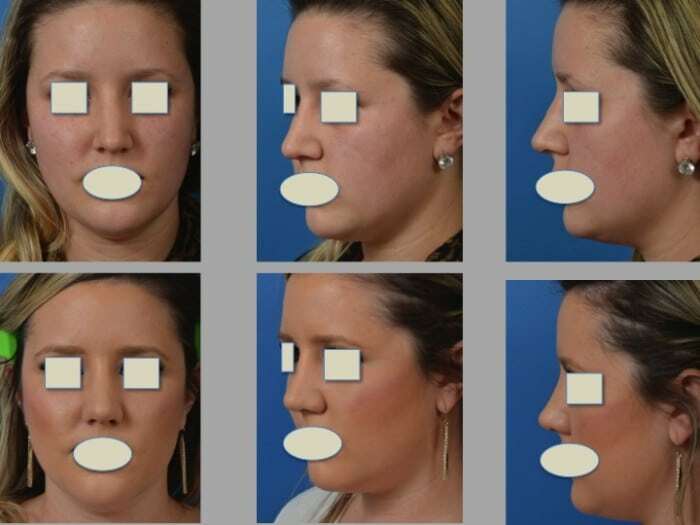 The operations are more difficult because of scar, lack of graft material, unknown variables depending on the first surgeon’s operation(s), and functional problems (difficulty breathing). 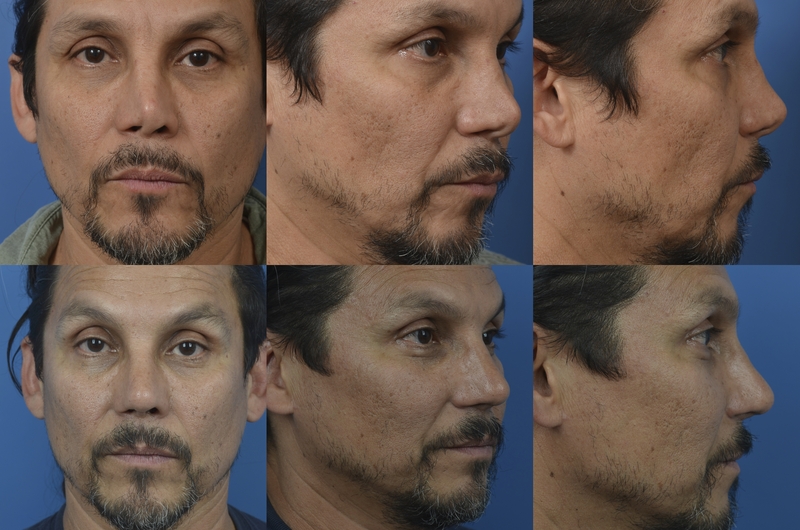 While some surgical maneuvers are the same as a primary rhinoplasty, more advanced techniques are also needed and often employed. 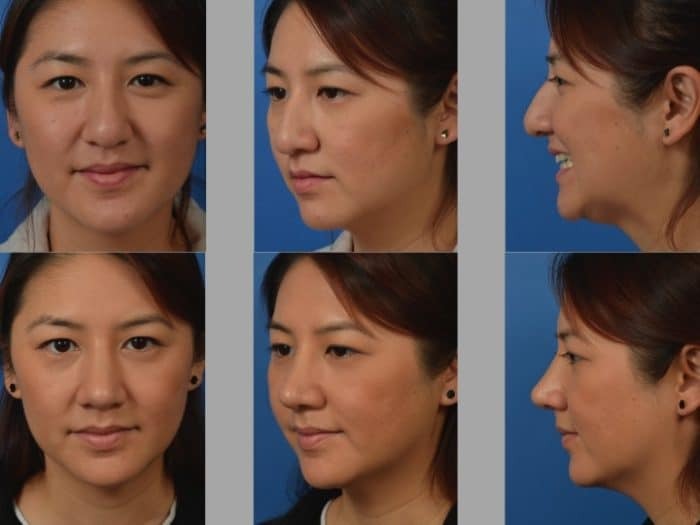 These include the need to take cartilage grafts from the ear or rib. 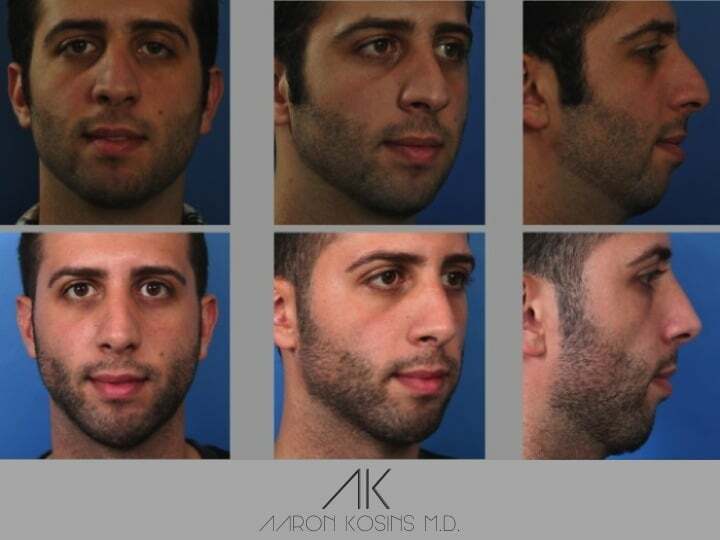 My preference is to confine the operation to the nose itself, but at times new donor sites are needed depending on the individual situation. 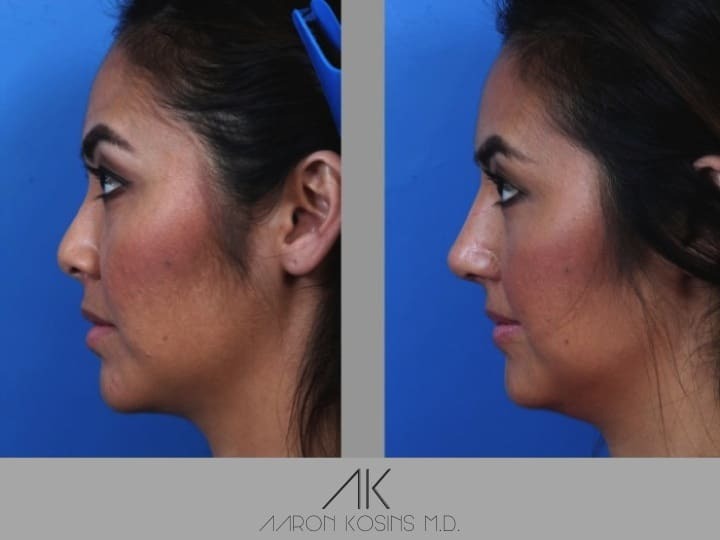 The point is that your surgeon MUST be comfortable with these techniques to confront the unique challenges of secondary rhinoplasty. 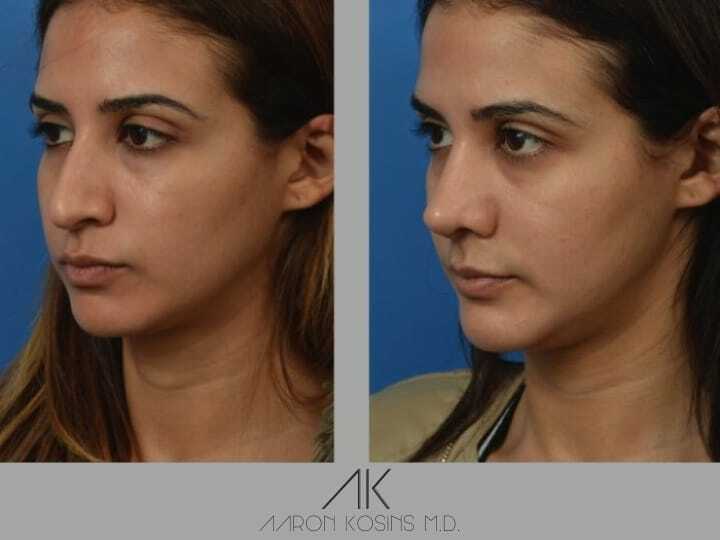 I will always try to get the operative report(s) from your initial operation(s) so that I can accurately plan a successful rhinoplasty. 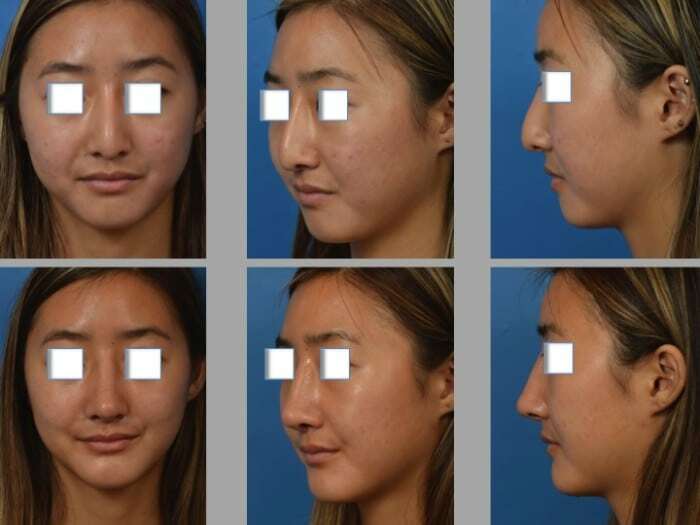 These reports help me to understand what was done in the past, and what graft material may be present to help with the reconstruction. 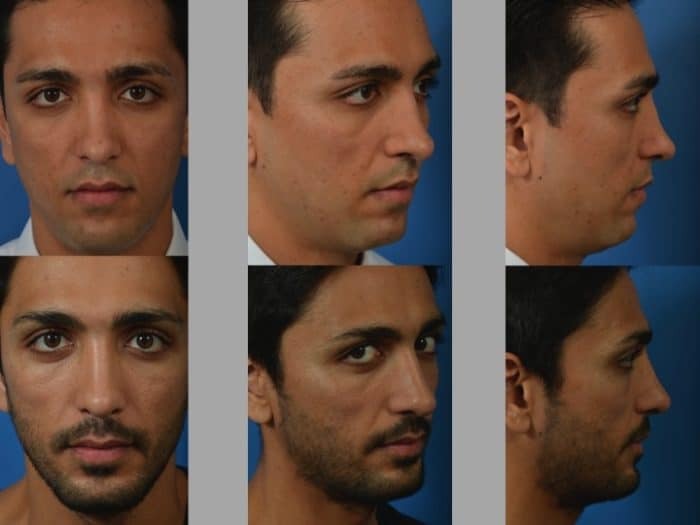 After we have defined your complaints and goals, 8 to 10 standard photographs will be taken so that we can sit down and talk about what can be changed and what you can expect. 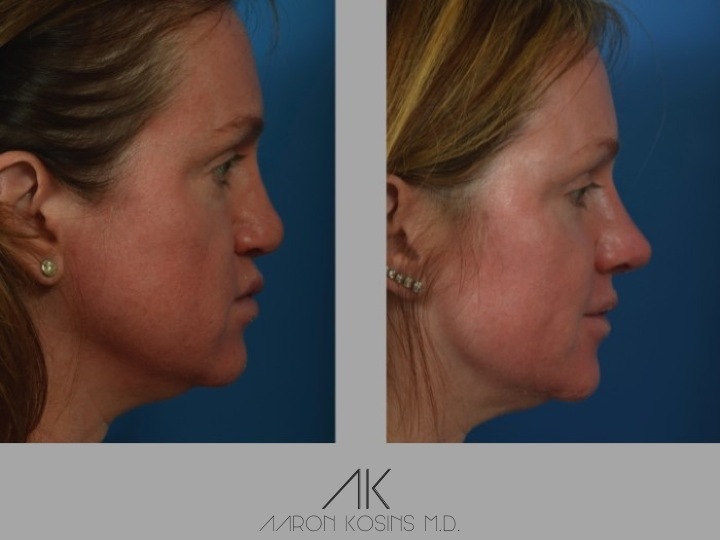 Underlying factors such as very thick skin may limit certain improvements, and it is very important that we are on the same page in terms of expectations. 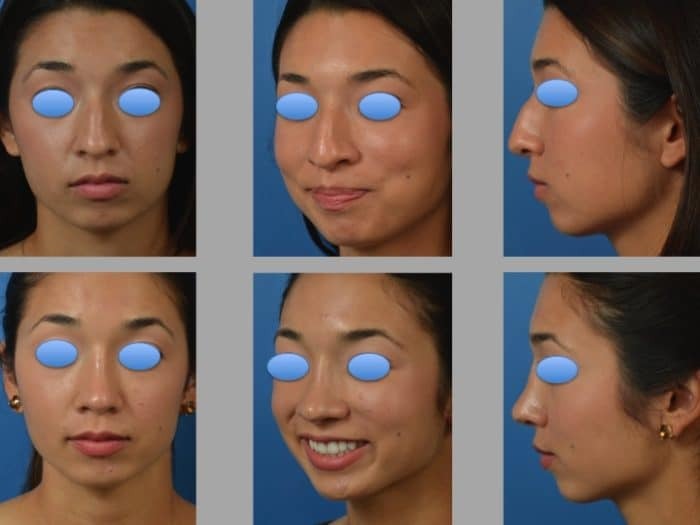 We will look at all the views of your nose together and simulate possible changes. 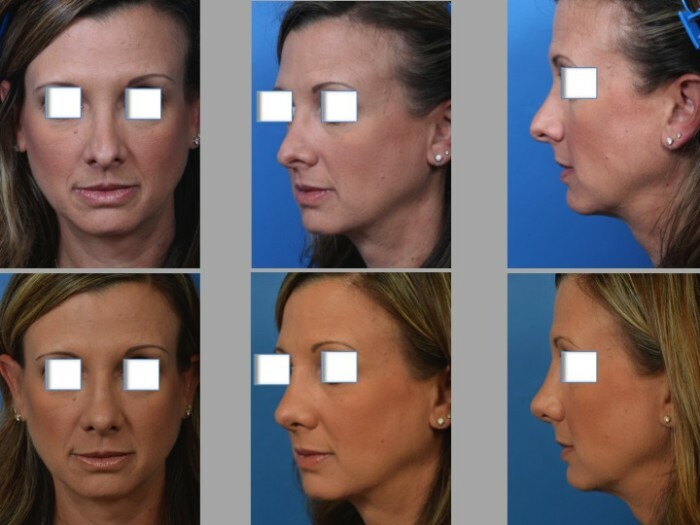 In doing this with each patient, we can set goals and understand what your nose will look like after the operation. 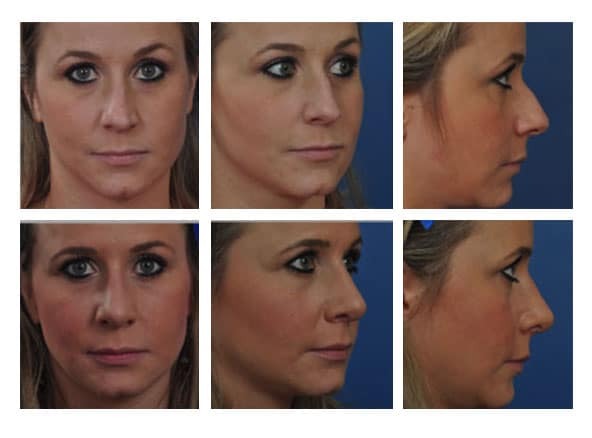 In secondary rhinoplasty, preserving function is very important. 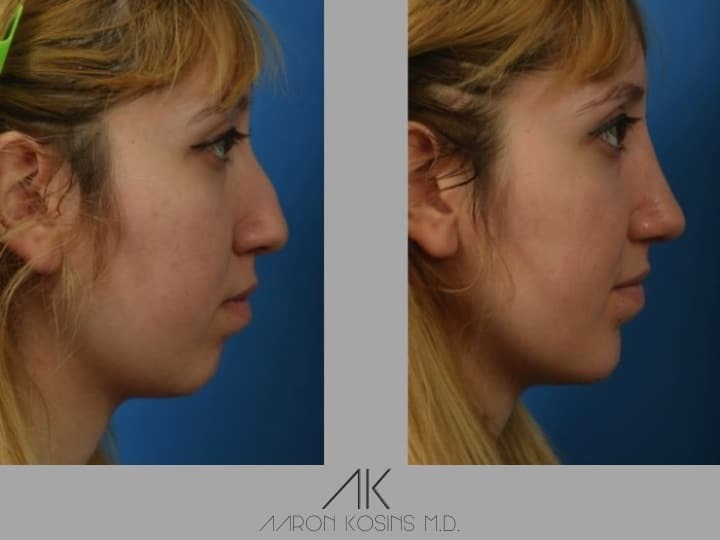 Unfortunately, I too often see noses that have been skeletonized by destructive techniques in an attempt to make the nose smaller. 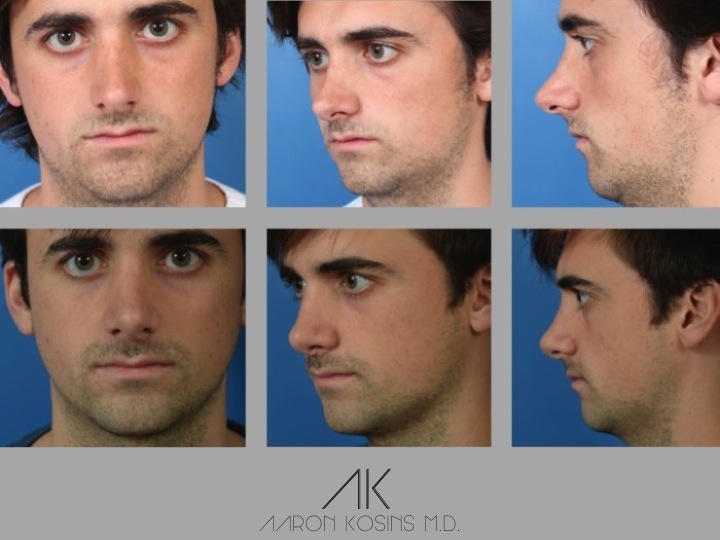 The nose may be smaller, but has lost its structural support. 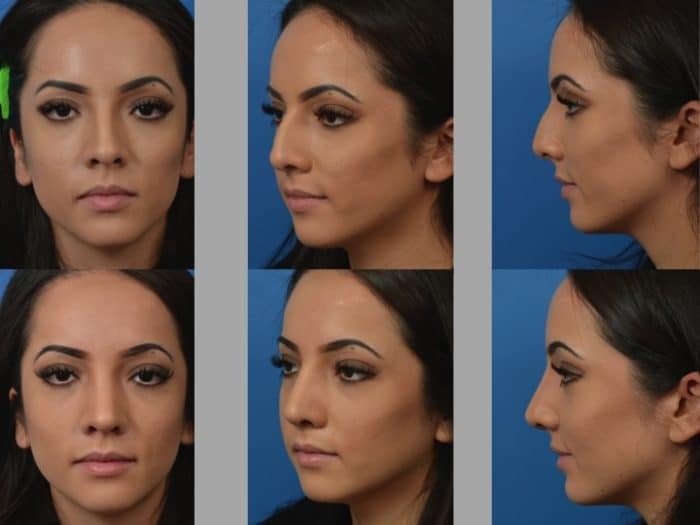 When doing your secondary rhinoplasty, I will make the desired changes while also reconstructing the foundation of your nose. 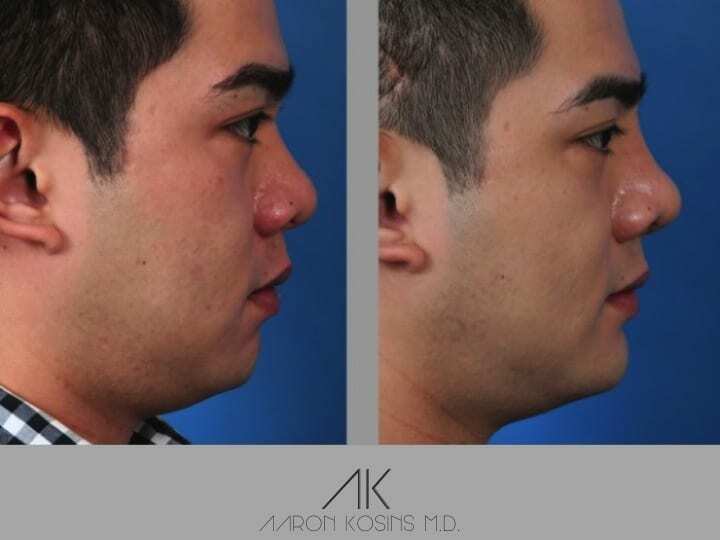 For true success, your nose needs to look better and you need to breathe better. 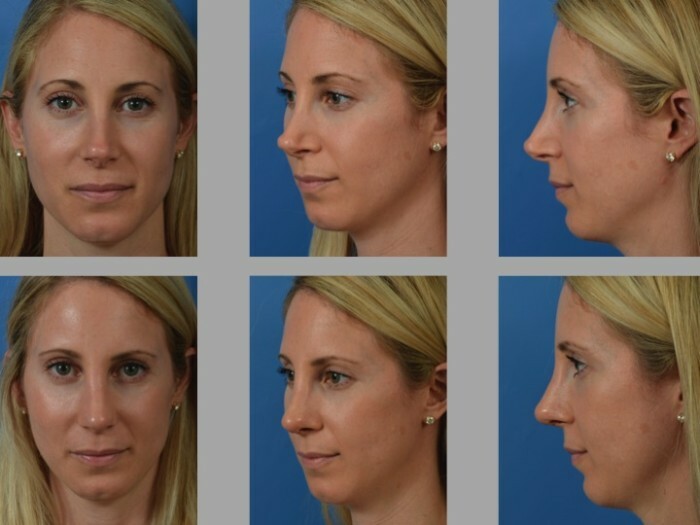 You may not realize it, but small improvements in your ability to breathe can help you sleep better and feel more awake during the day. 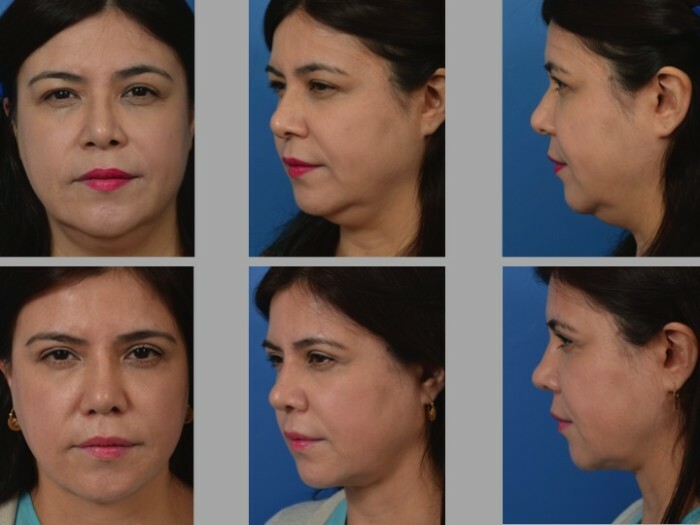 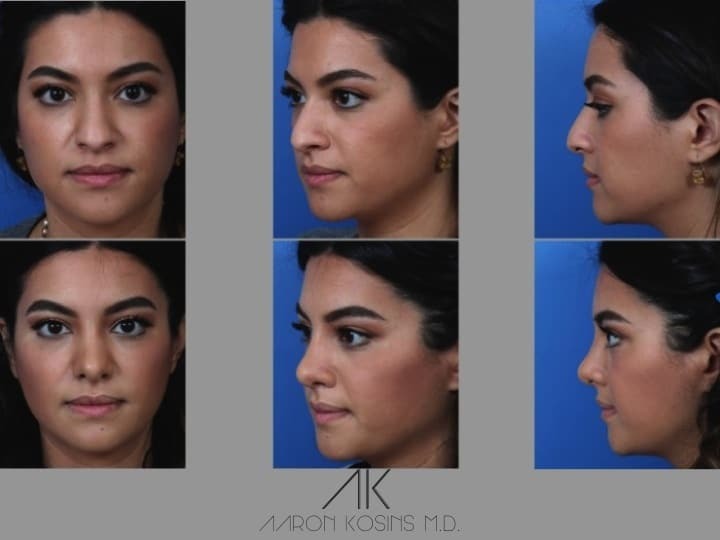 With every Newport Beach Rhinoplasty (primary and especially secondary), I am constantly evaluating how each surgical maneuver effects the structure of the nose. 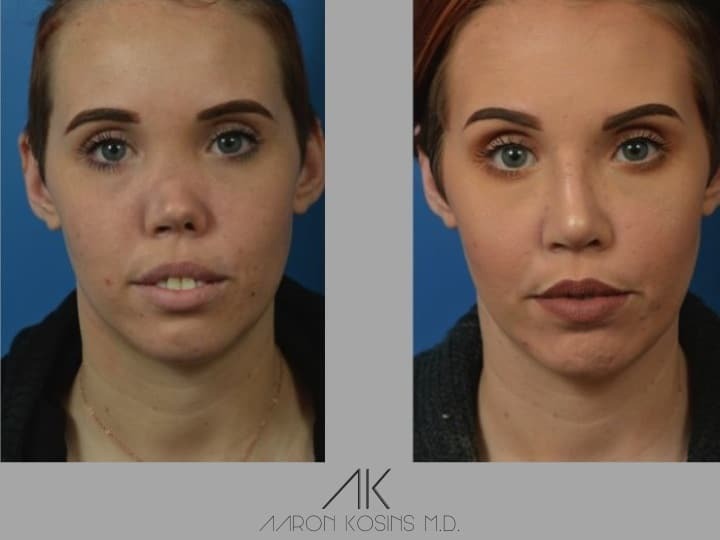 It is not uncommon that patients will have work done on their septum (which is often deviated), internal valve, external valve, and turbinates. 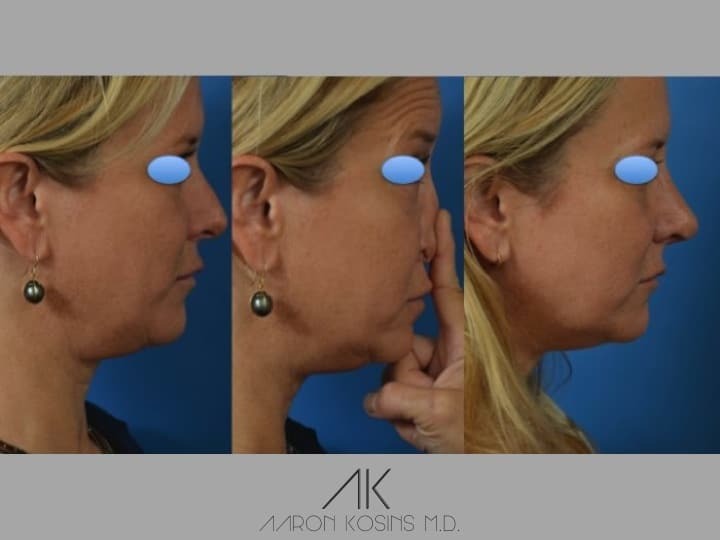 By doing this, I am focused on the four areas of your nose that give it structure and good nasal air flow. 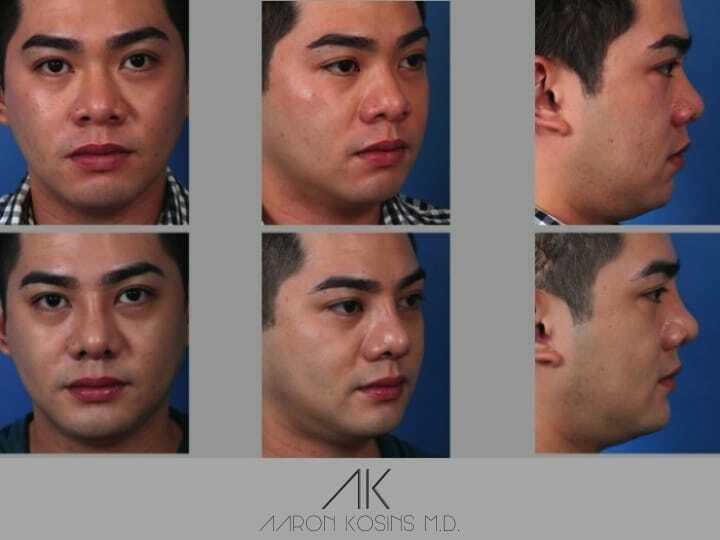 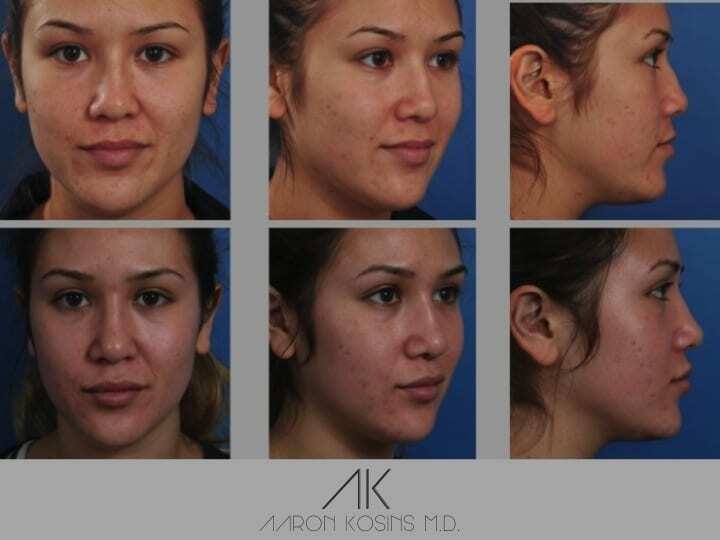 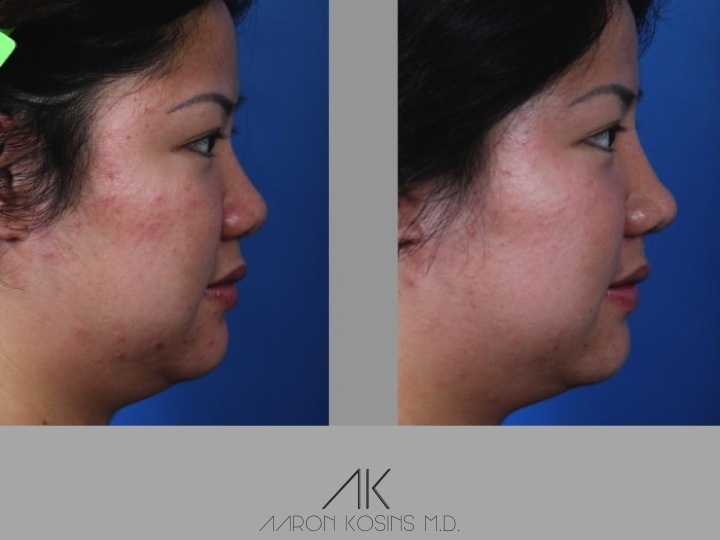 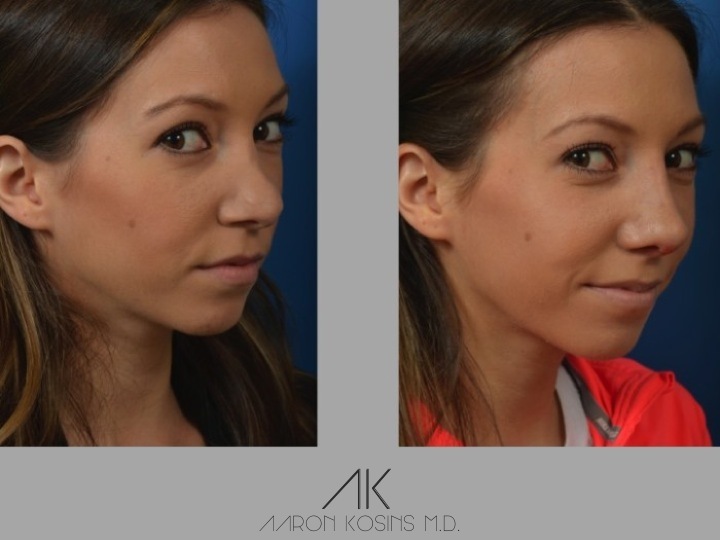 Ethnic rhinoplasty refers to rhinoplasty for patients of non-Caucasian backgrounds. 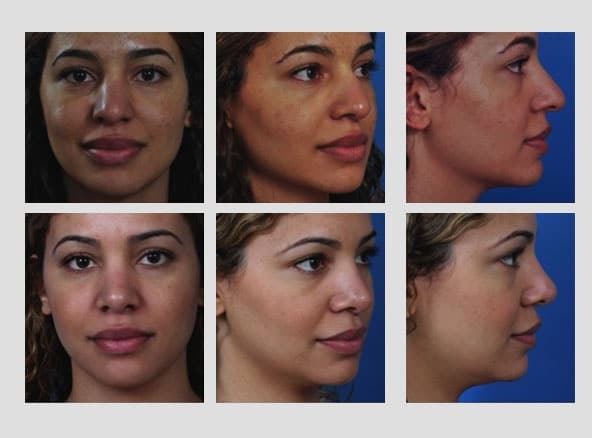 Certain populations including Hispanic, African-American, Indian, Asian, and Middle Eastern (this list obviously includes others) present unique challenges because of differences in skin quality/texture, underlying strength of cartilage, and completely different objectives by the patients. 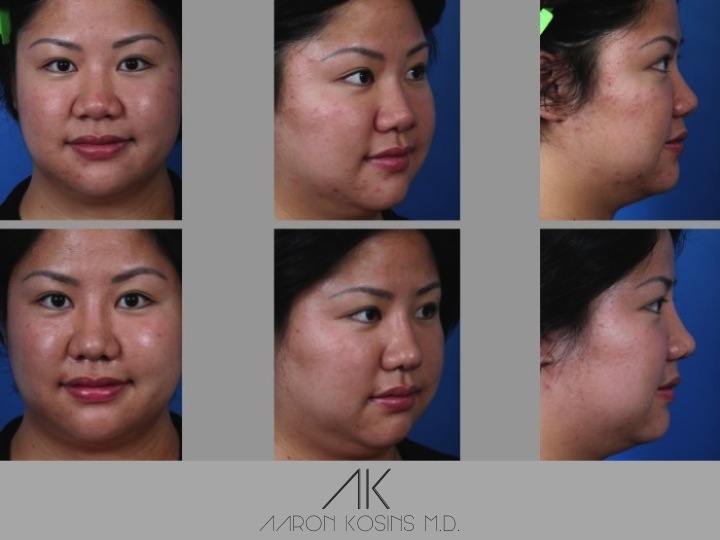 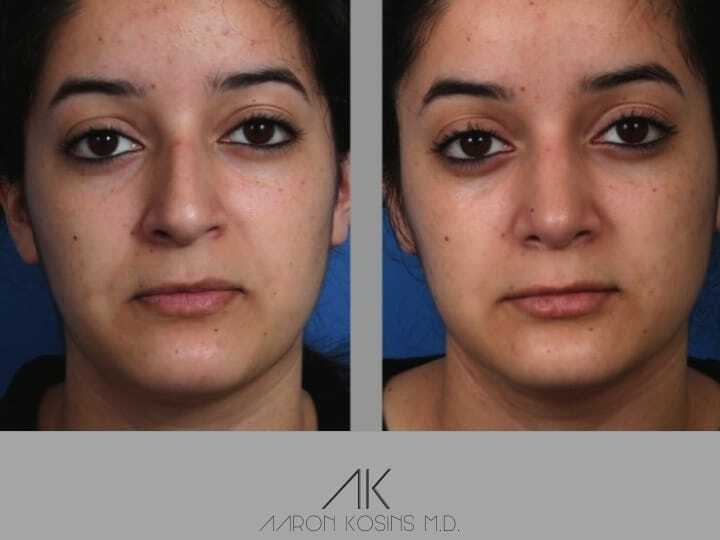 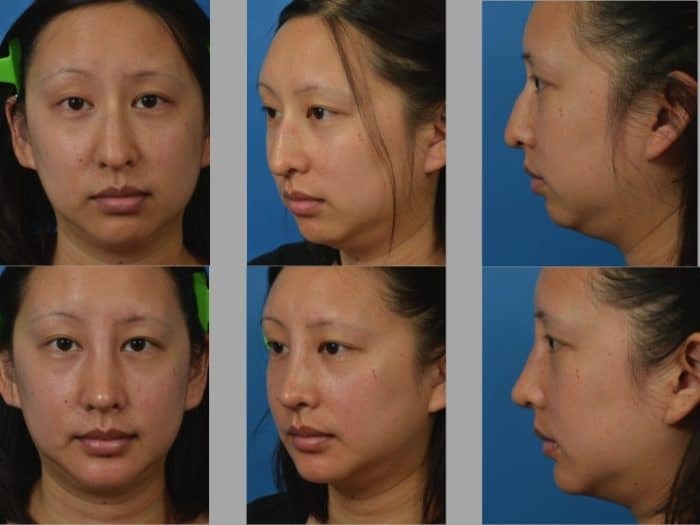 For example, many of my patients from Asian descent want a larger nasal dorsum and radix (area between the eyes). 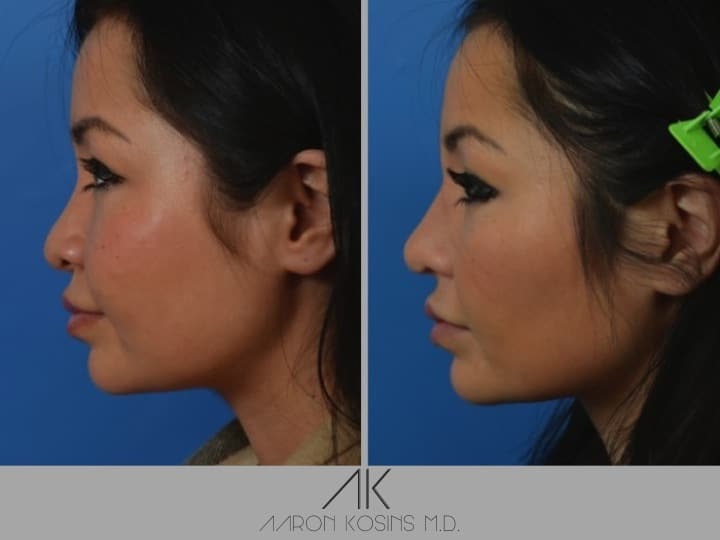 This is in contrast to my patients of Persian descent who uniformly want this area to be smaller and narrower. 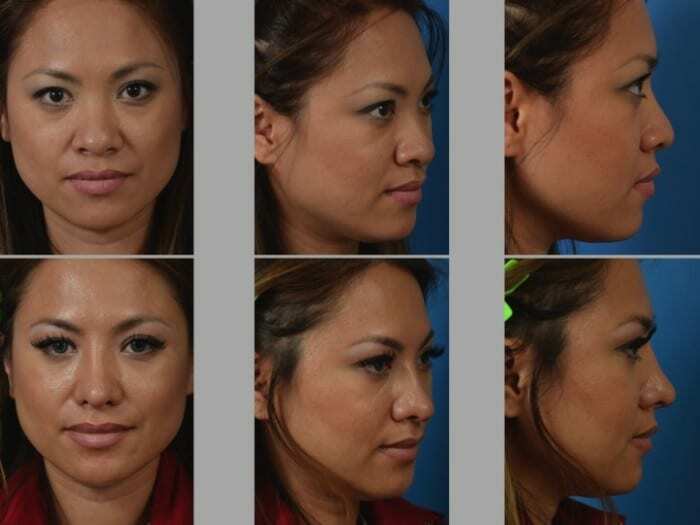 Thicker skin in general in all of these populations presents new challenges as underlying changes are less likely to be seen. 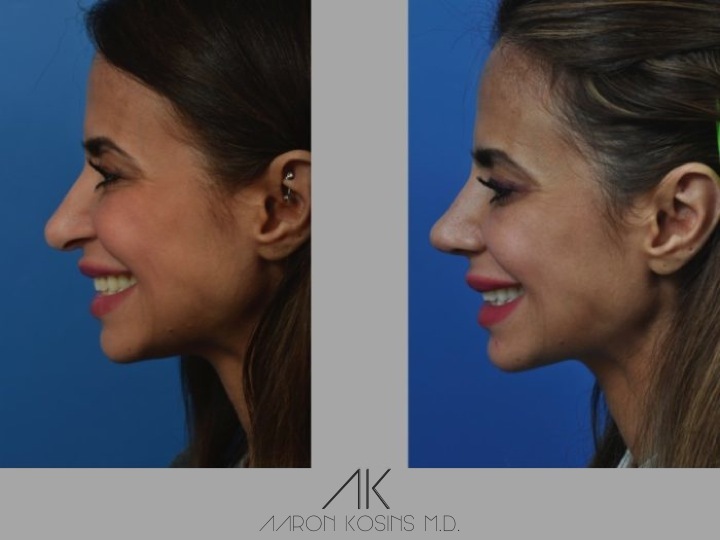 Because of my training and subsequent practice in Southern California, and specifically Orange County, I am comfortable with the differences in each subset of patients and know how to deal with these unique challenges. 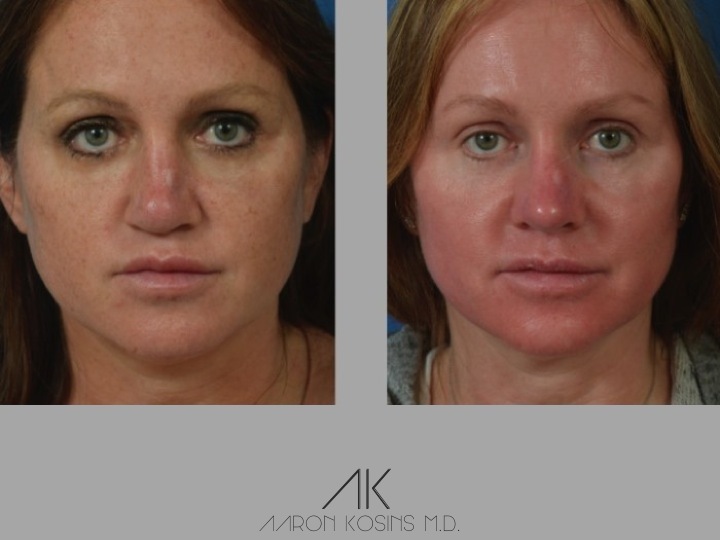 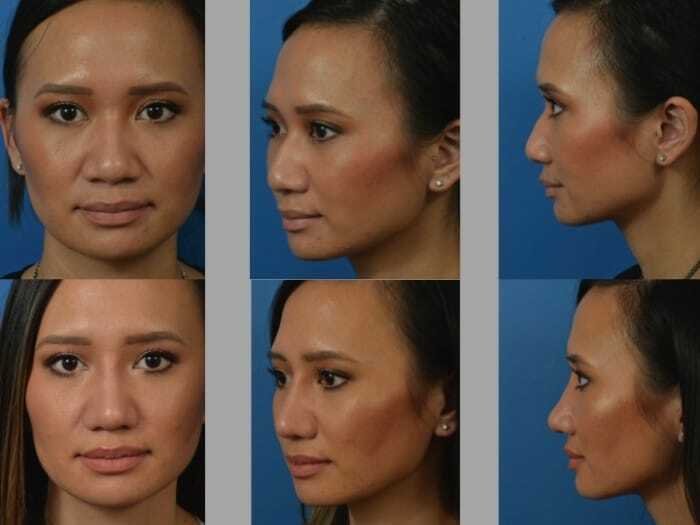 These challenging cases are exciting to me, and I would estimate that 50% of my Newport Beach Rhinoplasty practice is on patients of non-Caucasian descent. 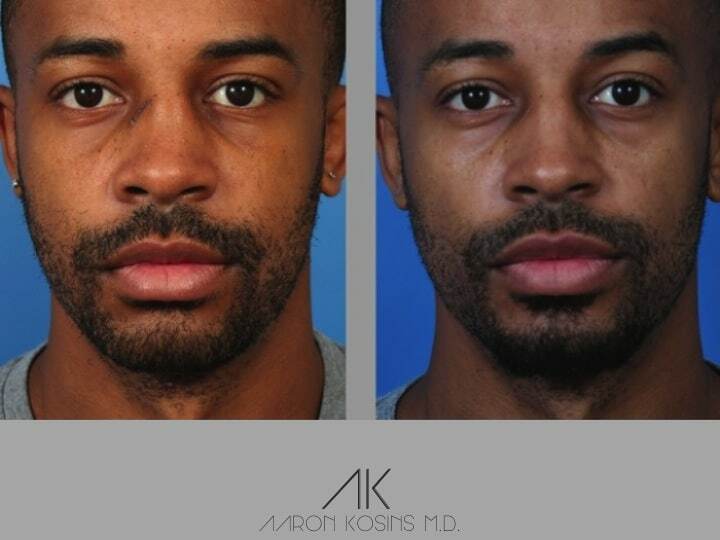 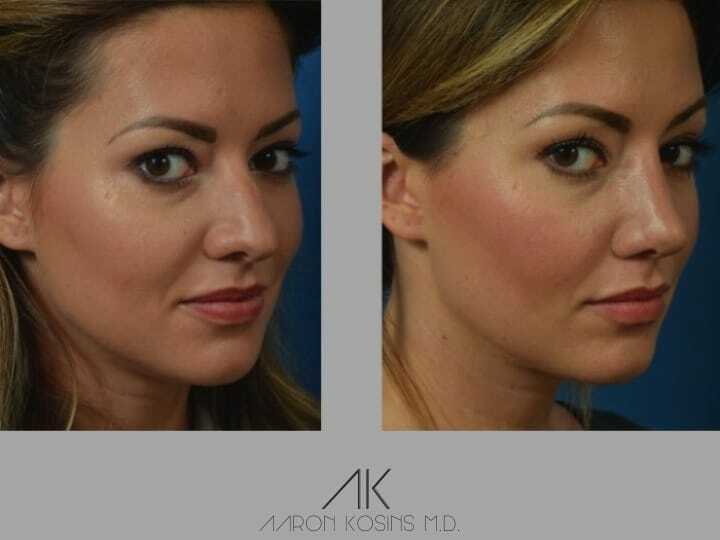 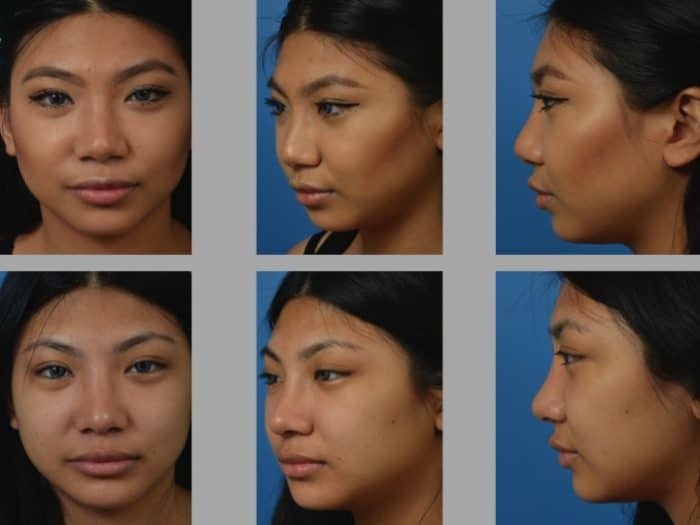 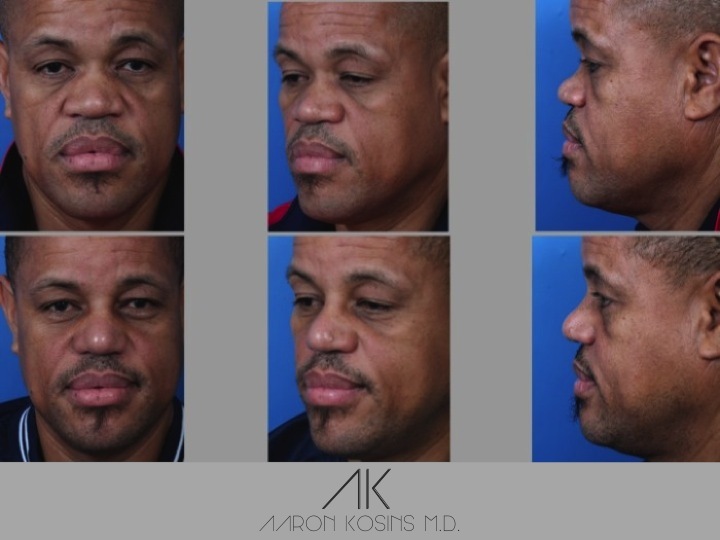 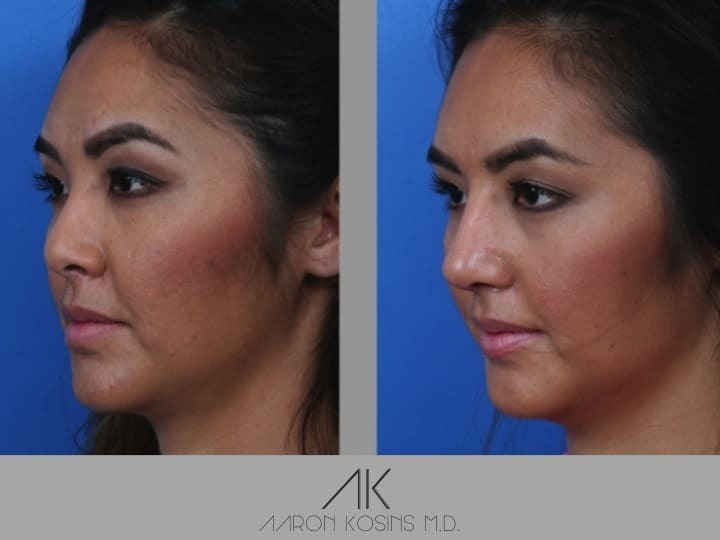 It is so important that your surgeon understands the differences between different ethnicities when it comes to Newport Beach Rhinoplasty surgery. 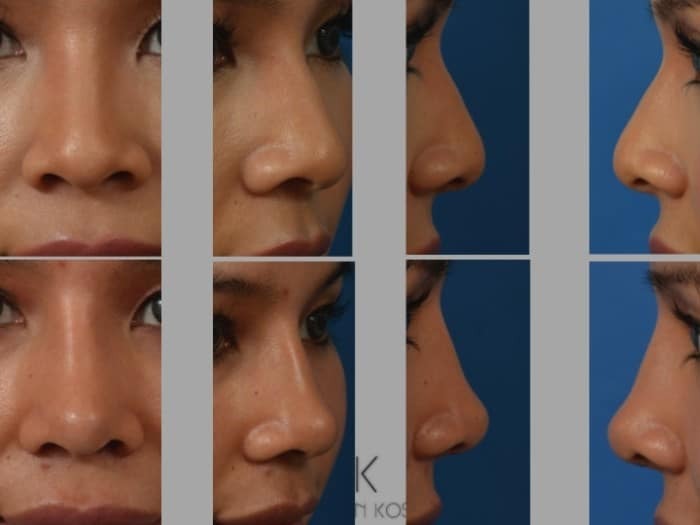 The problems are different, the techniques are different, and the realistic expectations can be different.